During the months of July and August there are heavy rains in Darjeeling, and many landslides occur in the weeks following the downpours. Sometimes you see a pretty little village that appears to be suspended over a ravine. 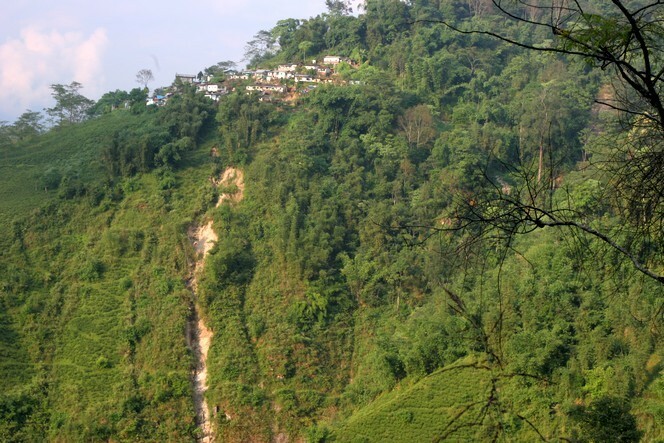 The tea plants you see in the foreground and on the slope itself are near Lingia.